Lovely small glass box from Madam Stolz. 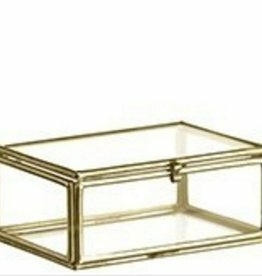 Perfect for saving and showing your jewelry, antiques or other small treasures. This unique small box can be used for anything! Lovely small glass box from Madam Stolz. Perfect for saving and showing your jewelry, antiques or other small treasures. This small unique box is multifunctional!